Motivated Seller! Seller says bring all reasonable offers! A spectacular 5200 sq. 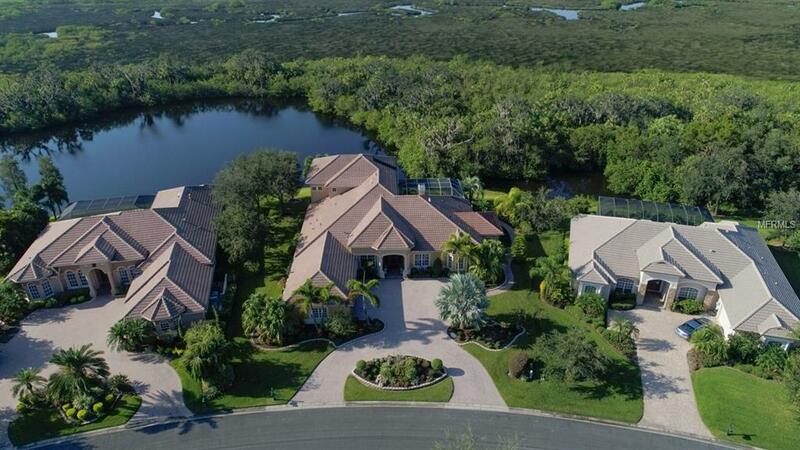 ft. Arthur Rutenberg home located in the Savannah Lakes section of RWGCC. This is an exceptional opportunity to own a luxury home at less than luxury cost. Owner investment in this home tops $1,500,000. Beautiful landscaping, circular paved driveway and walkways, plus custom curbing combine to project magnificent curb appeal. The view upon entering will take your breath away. The owner has spared no expense on interior detail and design. Every room is beautifully appointed and there is even a fully equipped gym. Absolutely everything a discriminating buyer would want is included in this home: floor-to-ceiling aquarium glass in living and breakfast room, infinity edge salt-water pool w/spa waterfall, a palatial master bedroom, bonus/billiard room with wet bar on second floor with adjoining lanai offering a sweeping water view, upgraded features throughout, disappearing corner doors, redesigned outdoor kitchen and separate sitting area with fireplace. This home boasts 3 gas fireplaces, central vacuum and an auto-fill feature on the pool. Never be without power-home has connected generator. 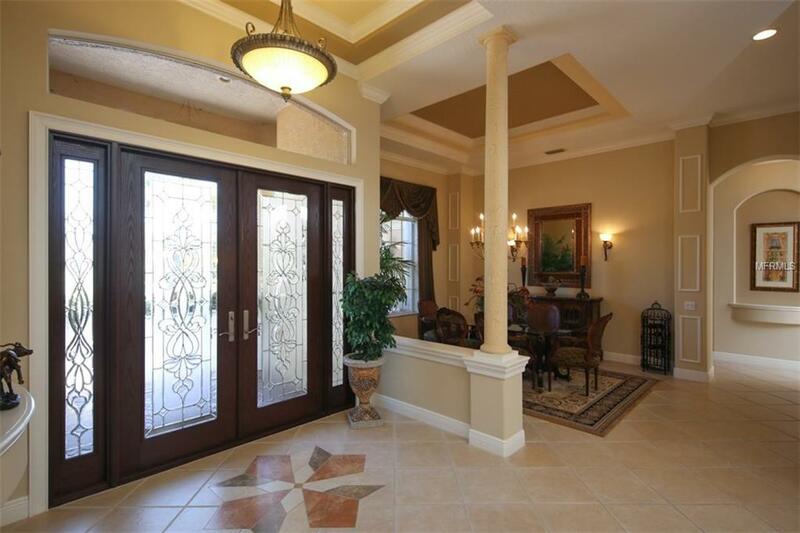 Hurricane resistant doors in family room and bonus/billiard room. 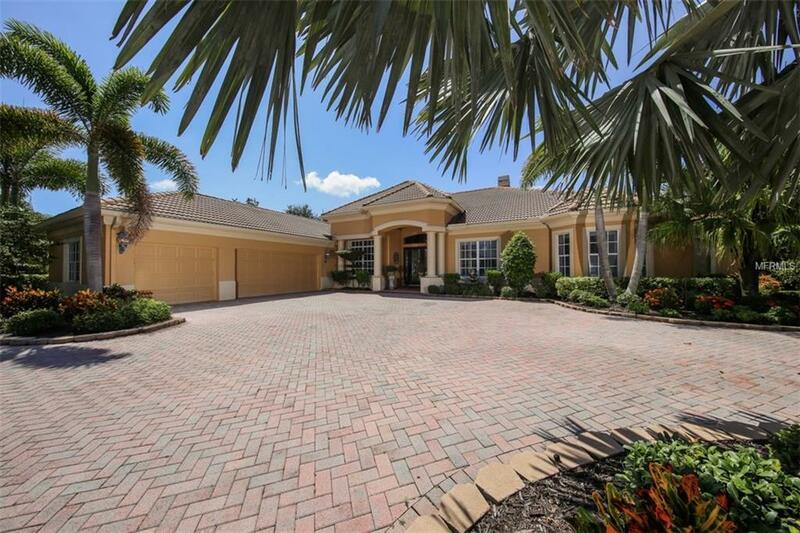 RW is a gated/guarded golf & CC community with boat ramp on Manatee River. Membership in the club is optional. The new Ft Hamer bridge is open and provides direct access to upscale shopping and dining in Lakewood Ranch. Ramp & bridge are just minutes from home. Amenities Additional Fees Membership in The Rwgcc is Required To Use Amenities With The Exception Of Boat Ramp. Pet Restrictions Please Refer To River Wilderness Documents At: Www.Rwhoa.Org For A Complete Understanding Of Hoa Policies.